Before deciding who the client is, determine what your firm wants to accomplish with this event. For example, let’s say you’ve got a favorite venue in town that you love, love, love working at. The staff are great, the venue is picturesque and the brides that book this space are always people you love working with. Why not plan their next open house event? #BOOM – drop the mic. 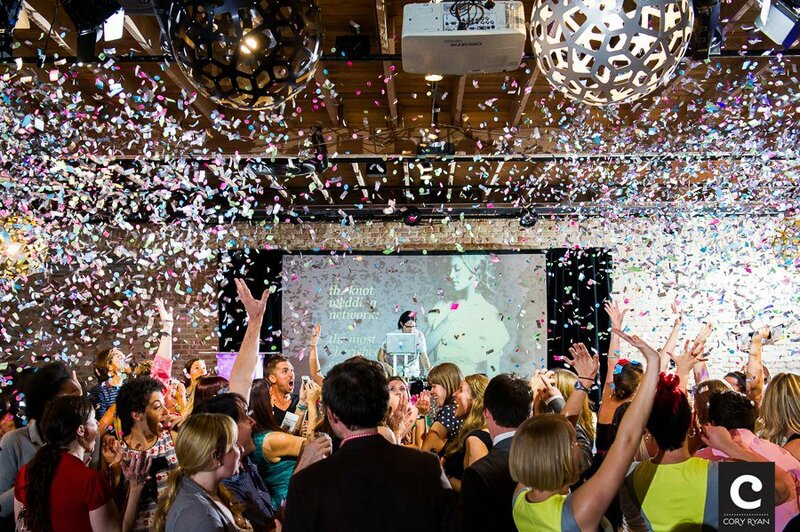 If your firm did self-produced events like this, you would be marketing directly to your ideal client, putting your firm’s name in front of new brides and working with vendors that are aligned with your style. Make a list of your firm’s top 10 favorite venues in town. The ones you LOVE to work with. Who planned their last one? Did they do it in-house (i.e. planned by their venue coordinator or catering sales manager) or was it done by a local event planner? Narrow the list down to your top 3 and then do the ASK. Ideally, the event date should be in the last week of your team’s internship, as a final project that they work on together. Also, try to give your team at least 6-8 weeks of planning time for best success. Trust me on this. We always recommend you hire 3-5 interns every semester. Why? So they not only have the chance to learn from you as their mentor but also work together as a team to learn from each other. This is something a solo intern really misses out on. So, among your interns this semester, who is the sharpest, brightest and most organized? Take a vote as a team and you as the CEO have the final say who’s leading this project. STEP FIVE – give them the tools and get out of the way. The lead planner learns quickly that their job is more about people management than anything else. Managing their fellow interns, the tasks assigned to them, the vendors (and how to handle non-responsive ones), the expectations and deadlines. Be their guide but then step aside and let them lead. If they make a mistake, let them fix it. If one of their teammates drops a ball (and it’ll happen), let them course-correct it. It’s an incredible learning opportunity and they’ll be covered under your company’s general liability insurance. (you do have insurance, right?) Check-in on progress of the event at your weekly team meeting and give feedback where necessary. Looking for an online training solution that’ll help you become a better mentor and help your interns get the training they NEED? Look no further…apply today to take part in the 6-week onboarding course with The Apprentice Program. The training covers budgets, planning timelines, event design, sales & marketing and more…just $75/intern for 6-weeks access, valued at $2000. Start the program any time, whenever works best for your firm! Easy peasy, simple. Apply today for the Fall 2015 semester!